Novigrad is a small town located on the north-western coast of Istria. It was developed on a small island which was connected to the mainland in the 18th century for the first time. The town has a beautifully indented coast with numerous pebble and stone beaches and is famous for its numerous historical sites that testify to its long and rough past. Novigrad lies half way between Porec and Umag and possesses a unique old world town charm and a contemporary modern day ambience with a modern marina. The Istrian peninsula is crammed with picturesque walled old towns on the sea but few are as fetching as Novigrad. The core of the old town lies on a limestone peninsula that was once an island. Medieval walls topped with restored crenellated towers run along the port and the historic core is replete with 15th to 18th-century houses and palaces. A sightseeing highlight of Novigrad is the baroque Rigo Palace with a beautifully sculpted facade and also a perfect spot for your wedding photography. The tip of the island is devoted to a park shaded with parasol pines and there's a lungomare, seaside promenade, that runs along the coast to the Novigrad marina, one of the most sheltered in the Adriatic. Contact us with an inquiry for wedding in the area of Novigrad and its surroundings. Porec is the Mediterranean heart of Europe with a picturesque harbour. Awe inspiring sights. Stone cobbled streets. In terms of postcard-pretty settings, weddings in Porec have got it all. But there's more to this Istrian wedding and honeymoon hotspot than bobbing boats, it's cathedral and the narrow paved alleyways that wend their way through the Venetian houses. The Basilica Euphrasis with its fabulous mosaics and no less than 15 blue flag beaches. It's the perfect set up for one gorgeous Porec wedding. In terms of things to do after sunset, Porec comes into its own. Restaurants and bars light up like fireflies around the town. They spill sumptuous scents of fresh seafood, smoked hams and finest olive oil into the air, enticing you to pull up a pew. After dinner you can enjoy anything from jazz concerts to big beat club tunes. Or, you can just sip a cooling cocktail as you watch the sun disappear over the horizon. Porec weddings and honeymoons are, quite simply, divine. With clear, blue waters flanked by foothills swathed in veils of evergreen trees, vineyards, orchards and olive groves, Porec enjoys spectacular natural beauty. Porec has a distinctive charm and warmth about it wherever you go. The locals are exceptionally welcoming and hospitable and the contrasting features of old and new form a harmonious whole. Contact us with an inquiry for wedding in the area of Porec and its surroundings. Rovinj is a charmingly picturesque town with yet more narrow, cobbled streets, and is very Italianate in nature. Rovinj is situated on the north Adriatic Sea. It is located on the western coast of the Istrian peninsula and is a popular tourist resort and an active fishing port. 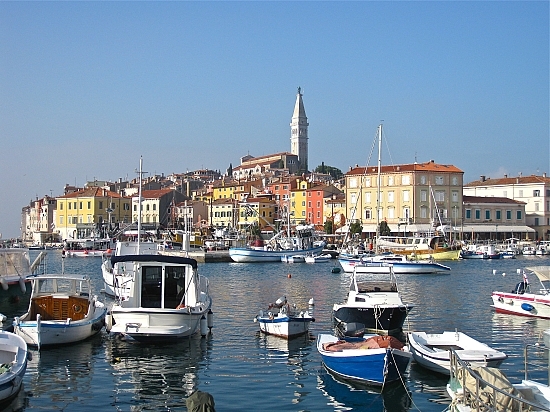 Rovinj is also very lively with numerous cafes and restaurants and galleries. Rovinj was originally an island, but 250 years ago the narrow channel, which separated it from the mainland, was filled in. 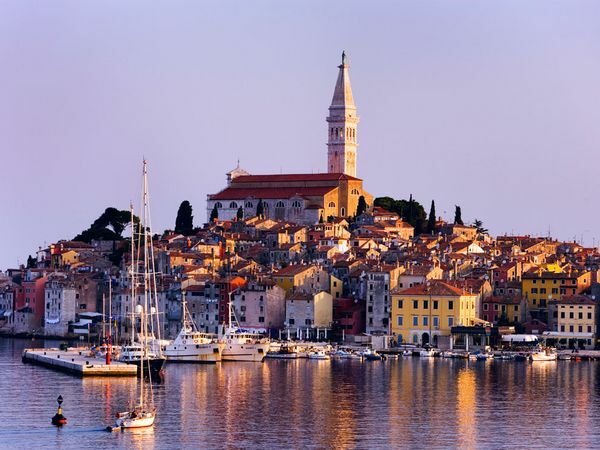 Rovinj is Istria’s star attraction especially for one of the last of the true Mediterranean fishing ports. The dominant of Rovinj is the massive Cathedral of St Euphemia whose 60m-high tower punctuates the peninsula. Wooded hills and low-rise luxury hotels surround a town webbed by steep, cobbled streets. The thirteen green, offshore islands of the Rovinj archi­pelago make for pleasant, varied views and you can swim from the rocks in the sparkling water. Contact us with an inquiry for wedding in the area of Rovinj and its surroundings. 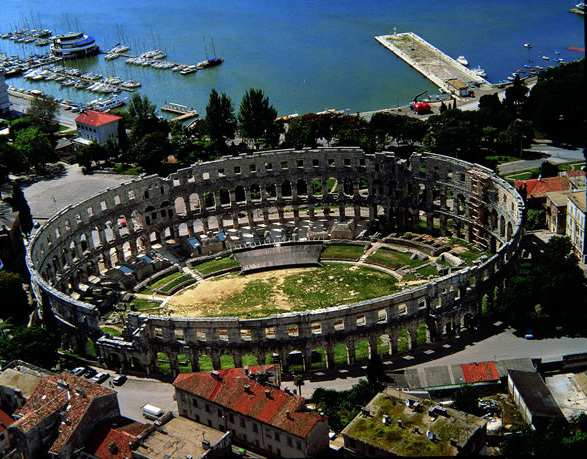 Pula is known for its mild climate, tame sea, and unspoiled nature is also home to many ancient Roman buildings, including the well-preserved, magnificent amphitheater. A great backdrop for your wedding photography. Pula is the largest city in Istria, Croatia. Located beneath seven hills and with views of the Adriatic, Pula's unspoiled natural surroundings are magical. Unlike other Istrian destinations, Pula has a flourishing life apart from the tourist business. Pula's historical centre of town is mainly devoted to business, government and commerce however just a few kilometres away you may find Verudela peninsula with beautiful beaches and charming restaurants making it a great spot for your wedding in the region of Pula. Contact us with an inquiry for wedding in the area of Pula and its surroundings. Opatija is the place where lasting memories are created. The Adriatic Sea background and elegant surroundings of the area supply ideal wedding ceremony settings. And finding a perfect spot for photo opportunities is an easy task. Called Adriatic Nica, Opatija is one of most popular destinations in Croatia and town with longest tradition of tourism on Mediterranean sea. The Pearl of Adriatic or "Queen of Tourism are some of the names used to name this beautiful town in the Adriatic. With its rich history, elegance and unrivaled beauty, Opatija in Croatia has become one the most popular holiday accommodation destinations in Central Europe. 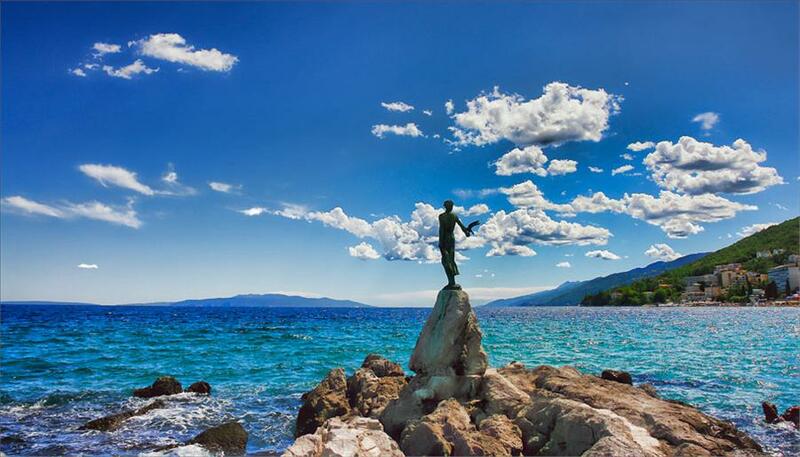 With an ideal climate and location, Opatija has been a fashionable haven for some of the world's most famous scholars and dignitaries.Opatija lies fifteen kilometres out of Rijeka on the main coastal road to Pula, it's the longest established of the gulf's resorts. It's a town in the best tradition of seaside magnificence. Opatija is one of the rare resorts with something for everyone. Families have a kiddie park along the sea, couples can take romantic strolls on the Lungomare, singles will enjoy the nightlife. Contact us with an inquiry for wedding in the area of Opatija and its surroundings. 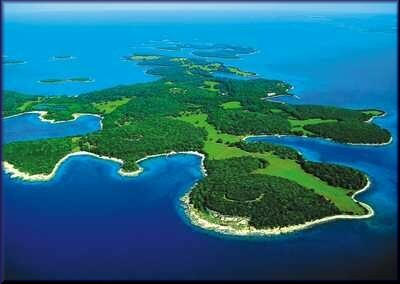 The group of Brijuni islands consists of two larger islands and twelve smaller ones. These spectacular islands make a great venue for your outdoor wedding and are home to Brijuni National Park which presents a unique play of nature that brings together remarkable animal species and rare and rich flora all at one place. It's an oasis of the magnificent harmony between man, animal and plant life. Brijuni ranks as one of the loveliest archipelagos in the Mediterranean. The Brijuni islands lie off the southwest coast of Istria in the vicinity of Pula, was once the meeting place of the European and world jet set. Only up until a few years ago, the islands were closed to the general public as they were the summer residence of President Tito and top officials of the former Yugoslavia. Over the years, almost 100 foreign heads of state were received by Tito on the islands. Many film stars were also guests of Tito, including Richard Burton, Elizabeth Taylor, Carlo Ponti and Sophia Loren, and Gina Lollobrigida. Contact us with an inquiry for wedding in the area of Brijuni Islands and its surroundings.